When you want a quick snack to fill a tiny gap mid afternoon, isn’t it so much better to know exactly what is in your, hopefully, healthy nut bar? Well there are nut bars and there are nut bars – if you know what I mean. 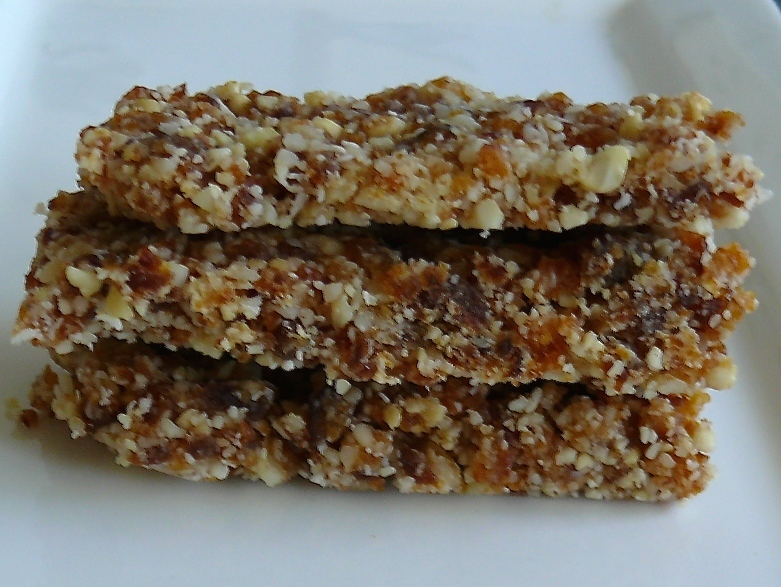 Seriously, have you read the list of ingredients (if you can call them that), in a typical nutty snack bar? So how about these? Inspired by Beyond the Bite; super easy, 6 ingredients whizzed up left in the fridge until set, then wrap and go! 1 1/2 cups dried apricots – read the ingredient list on the packet as some brands add extras. 1 tsp melted coconut oil – you may need more depending on how dry the mix is. You can get away with not using this if you shape them into balls. • Add vanilla and melted coconut oil and continue to blitz until mixture starts to form clumps. • You can now shape into bars or balls – whatever your fancy is. I have found that balls hold their shape better. • Place in the freezer or fridge to set. • Wrap and go or eat. • If you shape these into 18 bars or balls – each is around 10g carbs so go easy on them! If you like these then do head over to Beyond the Bite for more variations! Such a great snack! Looks delicious. Thank you! And I took these into the office today and they were devoured within minutes!